There are two main reasons why women get breast implants. The first one is for reconstructive purposes. This is to bring the breast back to its original form after it has been damaged by an injury or by a disease such as cancer. The second reason has to do with cosmetic or aesthetic reasons. They may want to have fuller breast or breasts that are more symmetrical with one another. It is also a way to boost confidence in their bodies. The cost of doing such a procedure will vary. Depending on the location, the doctor who will be doing the operation and the type of implant used the cost can run to a couple of thousand dollars. Speaking of the type of implants used there are generally two types. 1. One is the Silicone gel implants and the other is the Saline implants. These two are the usual choice for such procedures. The Silicone gel implants are silicone shells filled with a silicone substance. Depending on the amount filled in and the silicone mix they can vary in firmness and consistency. These have been the most used implants out there. They don’t wrinkle as much as the other type. Since they are also soft and pliable they give the breast a more natural look and movement after the operation. 2. The Saline breast implants are silicone shells filled with a sterile salt water solution. The advantage of this is that since it is a saline solution they can be safely absorbed and then excreted by the body should the shells rapture. That’s because the saline solution is similar to our body fluids. That said, these implants do wrinkle a lot more than the Silicone gel implants. Also they tend to rapture earlier than most. At the same time they don’t have that natural look and feel that Silicone does once the implants have been put in place. What to Expect When Deciding to Get Breast Implants? The procedure is pretty straightforward enough. 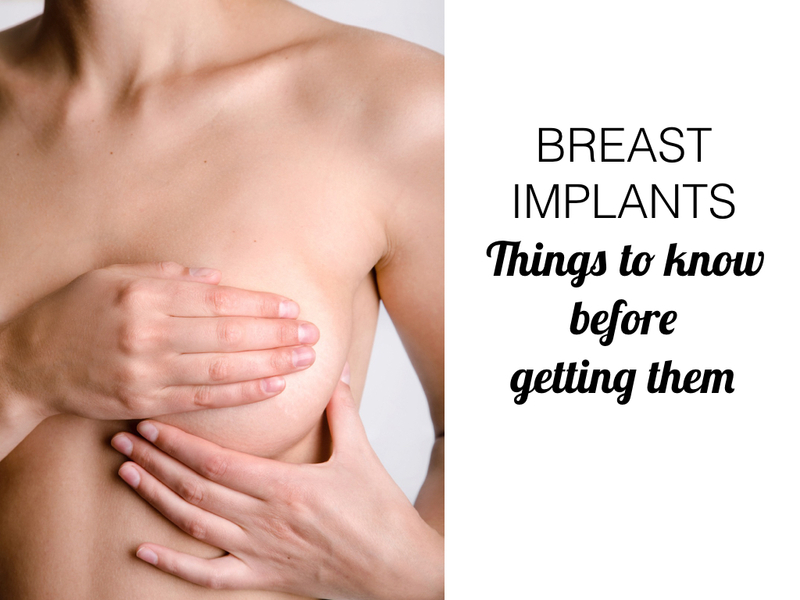 An incision is usually made in the breast area where the implants will be placed. Typically they try to make the incision in the least conspicuous area so as not to show any scar. General anesthesia is often used to ensure the patient’s comfort and to prevent movement. Then there’s the recovery time. You will need to rest in order to give your body time to heal. This is not something you can have done and then expect to walk out the door and do what you routinely do. This procedure does traumatize your body so you do need to follow doctor’s orders so you can recover and recover well. The results of such an operation will vary from person to person. This will depend on their age, their health, breasts and how well their body heals and all that. Two women of different ages and health levels will have different results in terms of how their breast will look and feel even if they have the same breast implants procedure done to them. What is important is that you are realistic with the results and don’t think that it will come out looking perfect. Apologies as I haven’t had a chance to review the comments on the website for a while. I’ll get my staff to email you very soon with the appropriate answers to your questions. Best wishes, DrTim.